For a fabulous holiday spent swimming in clear blue waters, exploring marvellous historical sites and eating some of the best food in the Adriatic, we can't think of a better choice than to book the Maitreya. 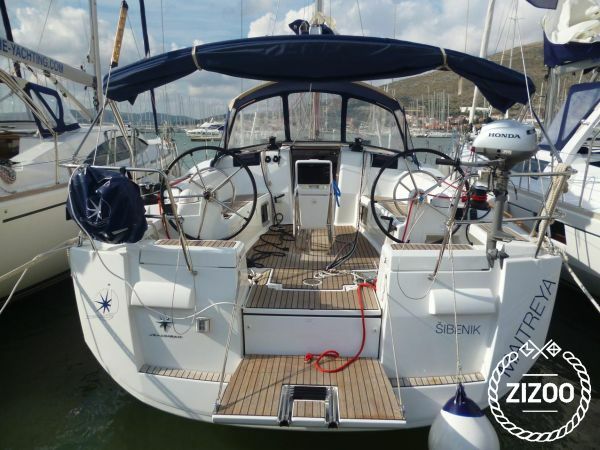 This lovely 2013 Jeanneau Sun Odyssey 439 sleeps 8 comfortably in 4 cabins, and features a fully equipped kitchen, a cosy salon and 2 bathrooms. Stock up on some of Croatia's delicious native products such as olives, figs and locally grown fruits and vegetables. Serve up a platter and enjoy it with your friends on deck with a bottle or two of some of the region's most fragrant wines that are making a name for themselves in the international wine industry. Explore breathtaking locations such as Trogir and Split, or lounge on one of the many beautiful and secluded beaches on many of the surrounding islands. Mingle with the locals who are friendly and hospitable and party with celebrities on the island of Hvar. For more ideas and destinations, contact the local charter crew.